This entry was posted in Food Glorious Food and tagged dates, gluten free, green kitchen stories, healthy, honey, nut bars, raw, sesame seeds, snacks, sunflower seeds, vegetarian, wheat free, whole foods by cityhippyfarmgirl. Bookmark the permalink. I think I see little nut bars in my future with Himalayan rather than Murray River salt because that’s what I’ve got. I hope you had bread and brownies and nut bars for dinner! These look very cute and I’m very glad you got that bike ride in – I imagine it was close to perfection after a day in the kitchen. Much needed bike ride after standing and baking for so long. A good bike ride really does shake a lot of cobwebs off doesn’t it. I wish I had days of so much productivity – and I rarely have the burnt experience because my oven struggles to burn anything no matter how hard I try 🙂 There have to be some advantages with a dodgy oven. I thought the brownies were lasagna – hope they were good inside even if the marshmallow looks well done – or maybe great in trifle 🙂 And I am curious about what you had for dinner – a few carrot sticks and hummus with a lot of dessert? It really does look like lasagne doesn’t it. Thankfully it did taste fine, no marshmallows to be found though…completely dissolved. Whoa you really DID go on a baking spree! Sounds like you made some deliciousness. 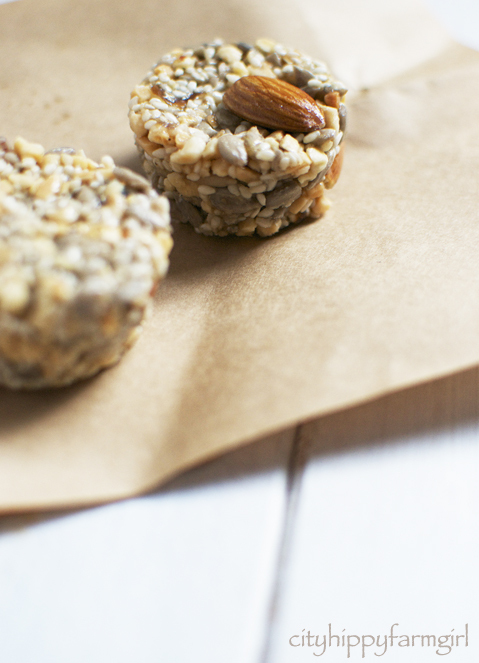 I am seriously loving the sound of these nut bars…so full of nutrition! 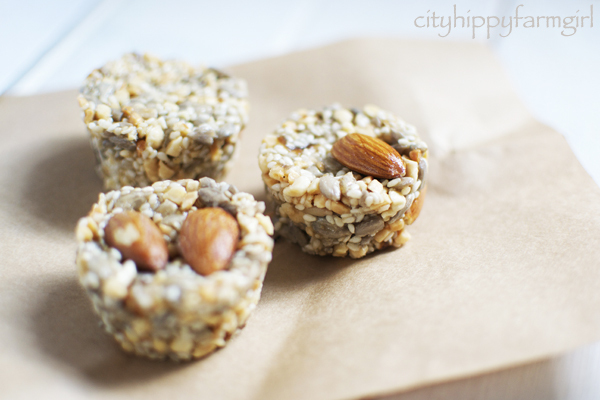 Very easy little bars, and healthy too. The little people were distracted thankfully! These all sound really good. And I understand both the baking glut and the problems that come from constant baking. Things WILL burn- even a little bit of distraction = overdone goodies! Good for you- taking a biking break- and where are all the kitchen pixies when you need the dishes done? Pixies seemed to have had the day off unfortunately…rather untimely. I have those sorts of days in the kitchen too – sometimes we just bite off more than we can chew. I’m so glad everything looked better after your bike ride! Ada, EVERYTHING looks better after a bike ride. Baking is NOT my friend – I wish it was as I think it would be great to get absorbed in the rhythm of baking…your weekend looks deliciously productive. I’ll just have to make it again I think Lorraine. 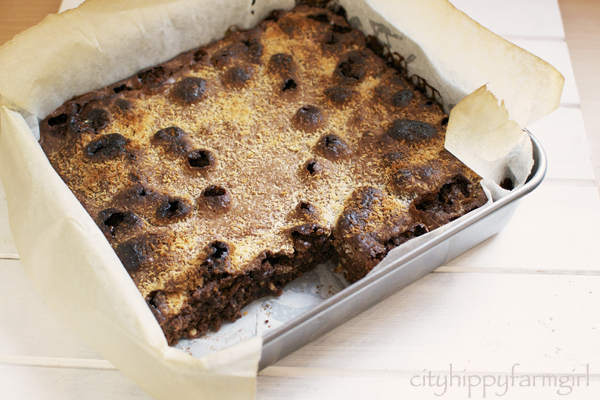 A rocky road brownie slice is surely worthy of another crack. The nut bars would be great to taking hiking – thanks for sharing! Hah! Lovely portrait of your Sunday. We went for a long bike ride as well (to a castle), after I made these: http://www.greenkitchenstories.com/flour-free-banana-blueberry-pancakes/ which turned out to be a huge success. Those little nut bars look fabulous! Definitely bookmarking them. I’ve just come out the other side of a baking marathon too, so can totally relate to the need to escape on ones bike. Isn’t it spooky how dishes can pile up? Mine looked like an art installation. Big bummer about the rocky road slice. I guess you could eat it with your eyes closed, or with dark sunglasses on? The inside sure looks good and fudgy! Well you know how I’m spending a lot of time in my kitchen with the Muesli bar challenge at the moment so I’m not going to be able to resist these cute as a button nut bars!! As for your rocky road slice….I’ve had many a culinary disaster over the years including forgetting to put sugar in my sweet cucumber pickle. Turns out my American Friend fondly remembers cucumber pickle (not sweet) from her childhood so she hoovered up the lot! It just goes to show how one woman’s culinary disaster can be another woman’s gastronomic delight! you are a crazy baking machine!! that’s a lot to take on in one hit. think i’ll whip up a batch of little nut bars with the big kids this weekend. 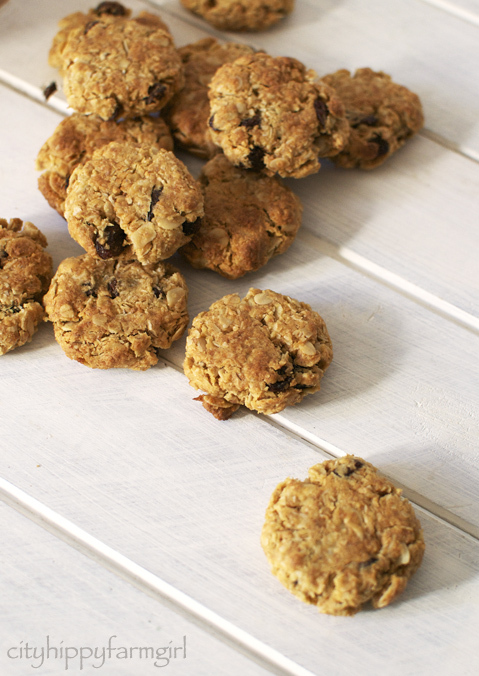 we need to restock our lunchbox supplies and these look perfect!